1 Bdrm 2nd flr Flat. Hall. Lounge. Dining kitch. Bdrm. Bathrm (CT band - B). Price around £85,000 Entry by arr. Viewing contact solicitors. Below Home Report Valuation (EPC band - D). 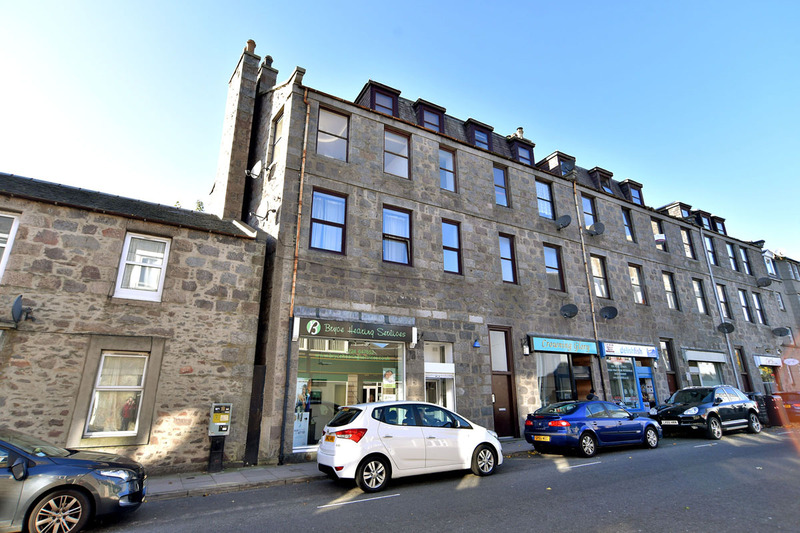 We are delighted to offer for sale this tastefully and well-presented ONE BEDROOMED SECOND FLOOR FLAT with DINING KITCHEN situated in the centre of Aberdeen. 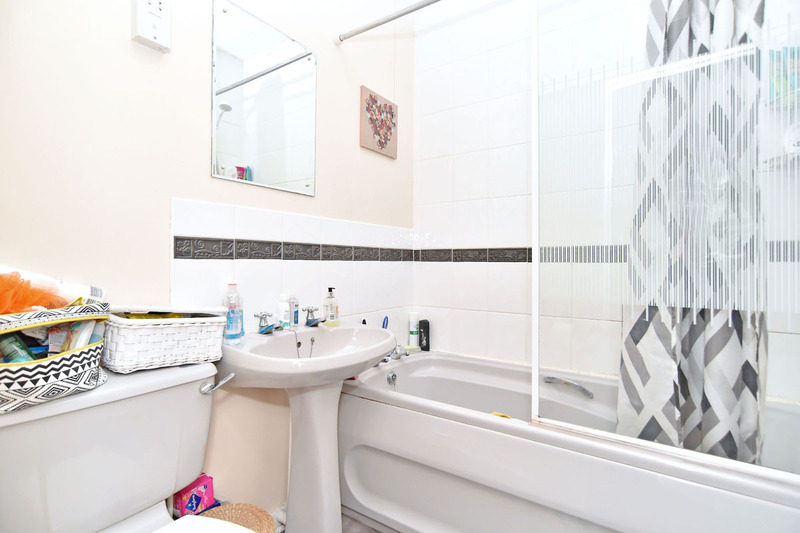 The property would make an ideal first time purchase or a good buy to let investment. The flat, which has a bright and neutral décor throughout, benefits from double glazing, electric panel heating and a security entry system. Included in the sale are the oven, hob, extractor hood, washing machine, fridge together with the fitted blinds and light fittings. 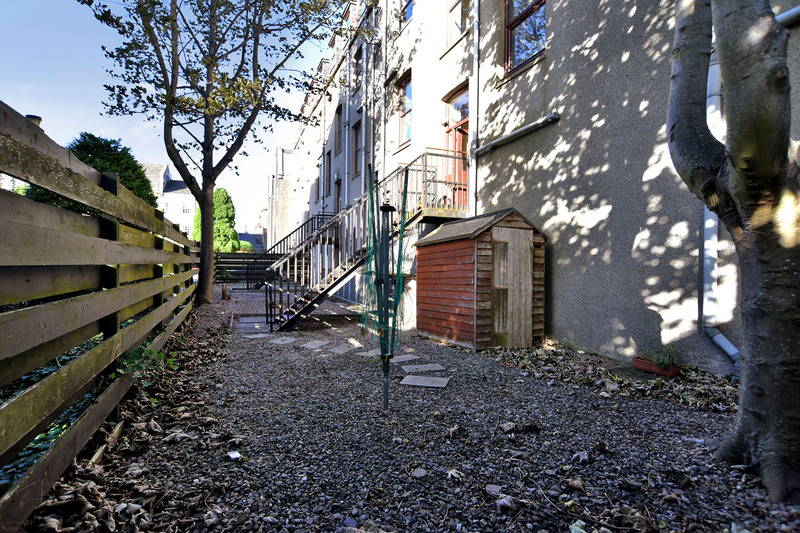 Rose Street is well served with local amenities and is within easy walking distance of Union Street and the city centre with a range of varied shopping and leisure facilities. There are also good bus routes located nearby to most parts of the city. SUBSTANTIALLY BELOW HOME REPORT VALUE. HALL Laminate flooring; security entry phone; overhead electric meter box. LOUNGE (15’8” x 10’9” (4.78m x 3.28m) approx.) 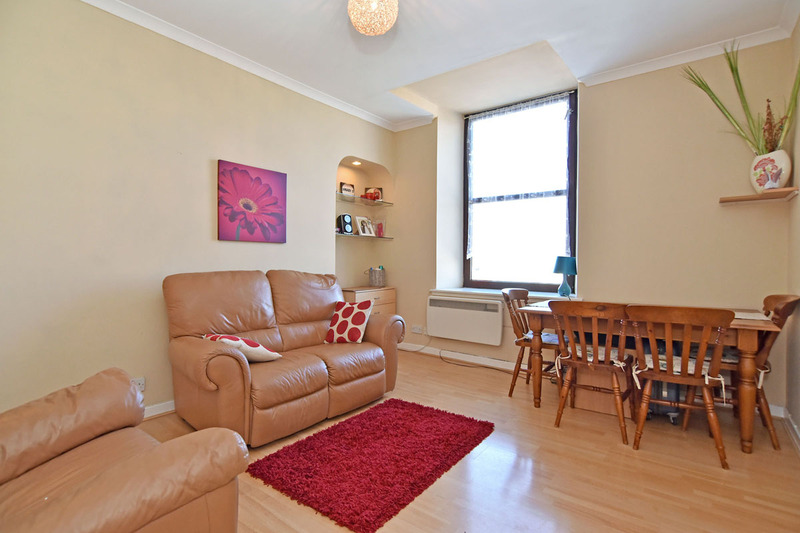 A bright and attractive room situated to front of property; laminate flooring; shelved alcove with downlighter; large window giving excellent natural light. DINING KITCHEN (14’3” x 6’8” (4.34m x 2.03m) approx.) 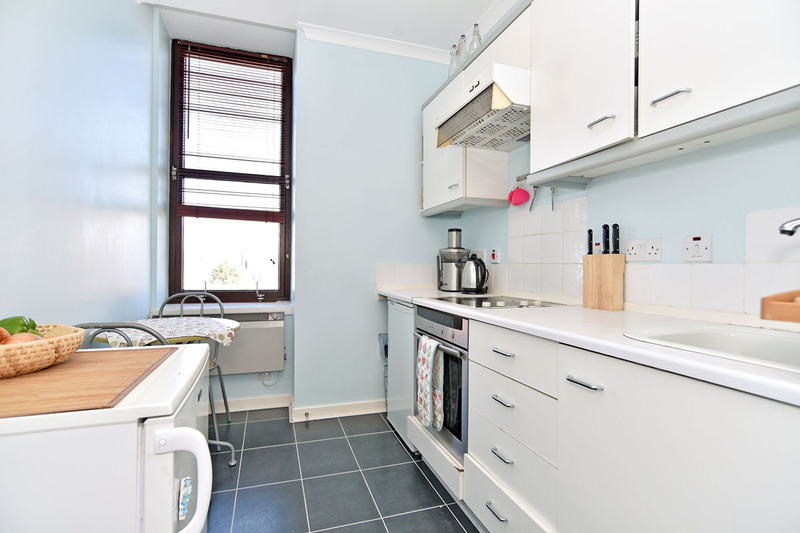 Well-presented room with ample units to base and eye level; oven, hob and extractor hood included in price; washing machine, and fridge also to remain; sink; large walk-in cupboard; space for small dining table and chairs. BEDROOM (12’8” x 10’9” (3.86m x 3.28m) approx.) 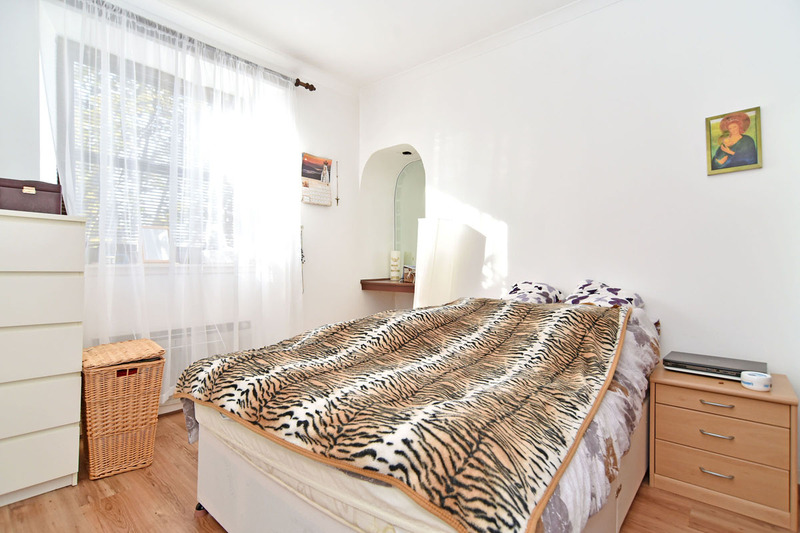 Overlooking rear of property; well-presented room with recessed shelved alcove; built-in double wardrobe with additional overhead storage; laminate flooring. BATHROOM Three piece white suite comprising wc, wash hand basin and bath with shower; tiled splashback. FEATURES Electric panel heating. Double glazing. Security entry system. Oven, hob, extractor hood, washing machine and fridge included. Blinds and light fittings included. Parking permits available from local authority.